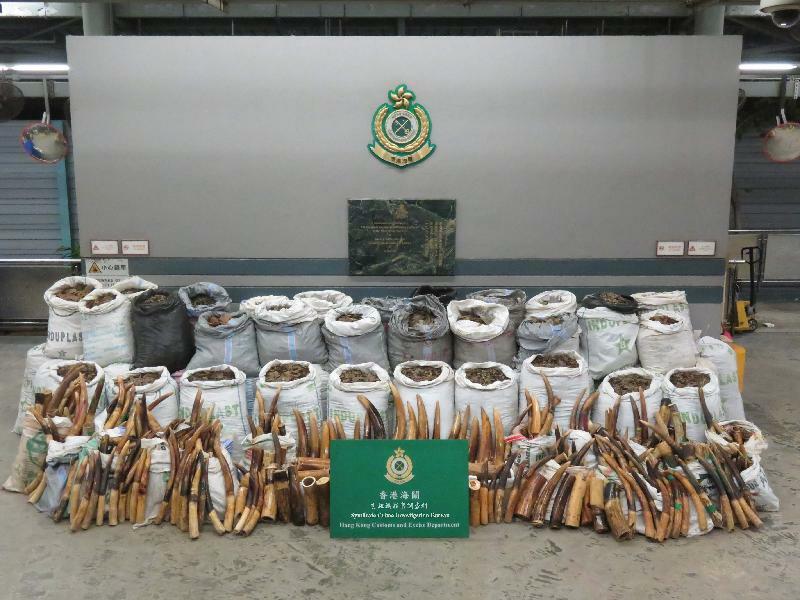 ​Hong Kong Customs mounted a joint operation with Mainland Customs on January 16 to combat cross-boundary endangered species smuggling activities. 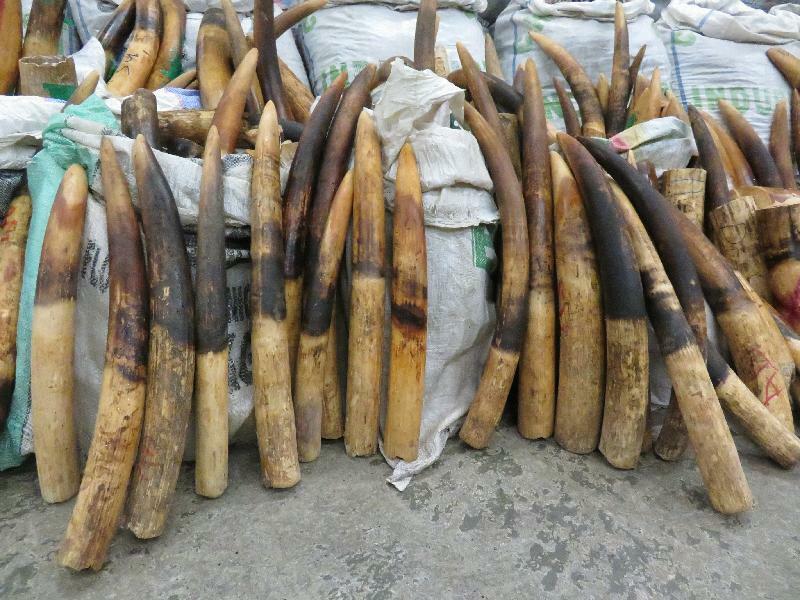 During the operation, Hong Kong Customs seized about 8 300 kilograms of suspected pangolin scales and 2 100 kilograms of suspected ivory tusks with an estimated market value of about $62 million from a container at the Kwai Chung Customhouse Cargo Examination Compound. 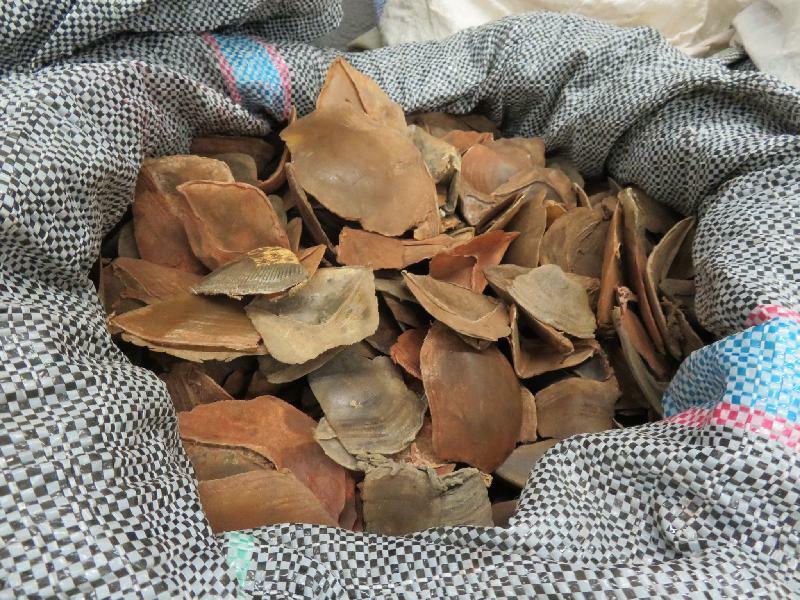 This is the largest amount pangolin scales ever seized by Hong Kong Customs.